MADISON, Wisc. 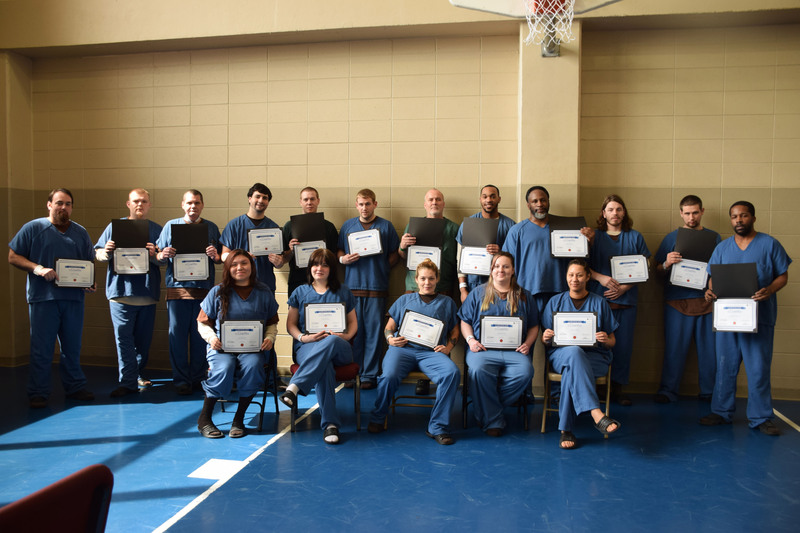 – Twenty-six inmates at the Dane County Jail celebrated their graduation from the Windows to Work program on Wednesday, June 14. This 7-week course is designed to increase the chances of success and employment post-release. “Rehabilitation. That’s what it’s all about. Rehabilitation. And this is the first step of […] getting back into society. It’s definitely something to think about and not to take lightly. [The WorkSmart Network staff and the Job Coaches at the Dane County Jail] are taking the time out of their professional day to help us get reentry back into society and that’s a big thing,” said Allan Brown, a graduate of the program. In 2015, the Workforce Development Board of South Central Wisconsin (WDBSCW) announced that it received a $500,000 grant from the U.S. Department of Labor to provide reentry services using the Windows to Work model. The goal was to serve 100 participants over 18 months. Pre-release components include cognitive intervention, general work skills and expectations, financial literacy, community resources, and job seeking applications and resumes. After release, participants receive job readiness support and follow-up services from the American Job Center and community partners. Over the past 18 months, the grant helped 94 inmates at the Dane County jail receive pre- and post-release support. The Workforce Development Board of South Central Wisconsin (WDBSCW) is a private, 503(c)(3) nonprofit organization that collaborates with businesses and workforce in the Wisconsin counties of Columbia, Dane, Dodge, Jefferson, Marquette, and Sauk with a mission to build private and public partnerships that support innovation and excellence in workforce development.